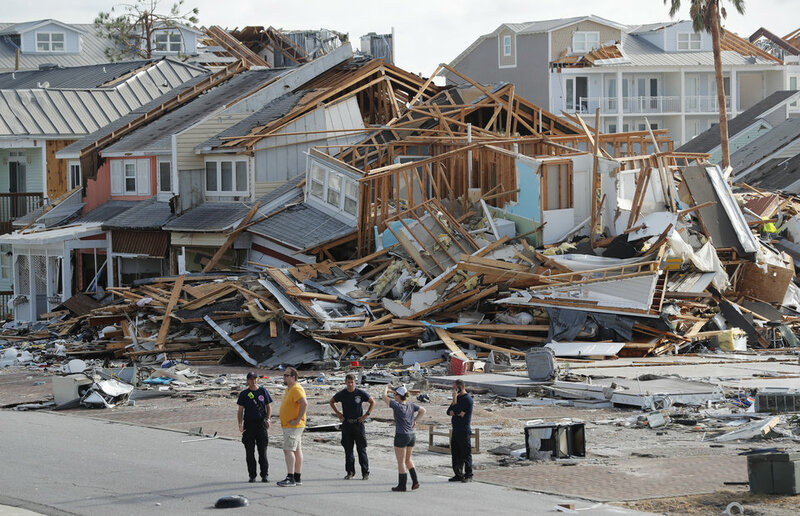 The death toll from the monster Florida hurricane Michael is officially at 27, however, hundreds are still missing. On top of the devastation from the hurricane, large swaths of the Florida Panhandle and tens of thousands of residents face a dark, powerless future. Major utilities say it will still take weeks to repair downed lines and poles and reconnect customers. A monster 80 mile-wide path of devastation has left a massive area without power which could take up to another month to fix. According to the Miami Herald, the utilities also face a daunting challenge reassembling the shattered grid. Reuters reported this morning that rescue teams are searching ravaged areas of Florida’s Panhandle on Tuesday for hundreds of people reported missing nearly a week after Hurricane Michael flattened communities in the region and killed at least 27. Matthew Marchetti, the co-founder of Houston-based CrowdSource Rescue, which had hundreds of volunteers on the ground, said he expects the death toll to rise as phone service is restored and roads are cleared. Debris, downed trees and power lines have hampered access to stranded people, but CrowdSource said a number of its missing person reports resulted from the widespread phone and power outages.